A great personality should come with matching shoes! 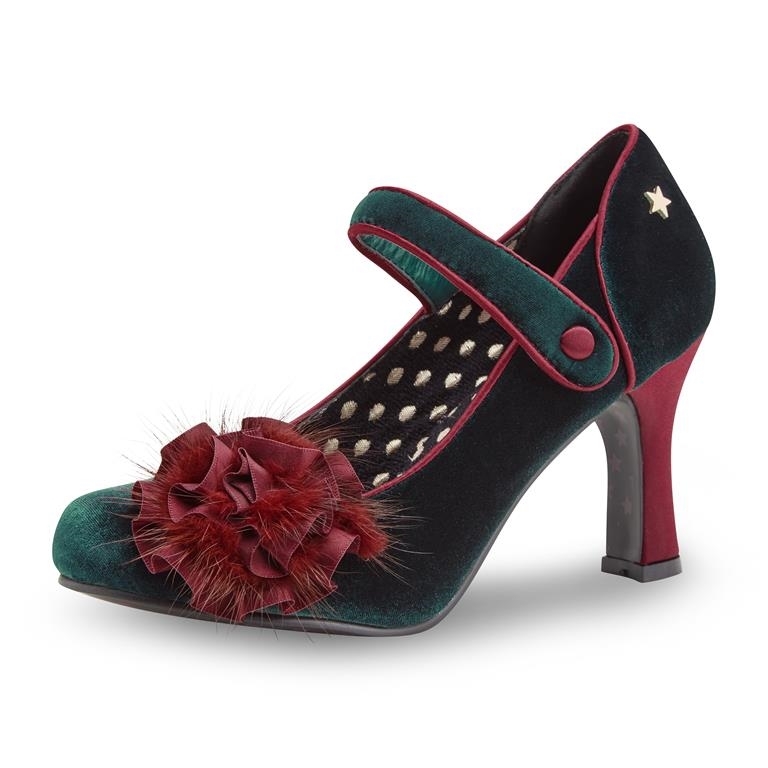 And your vintage winter look wouldn't be complete without these unique pumps! 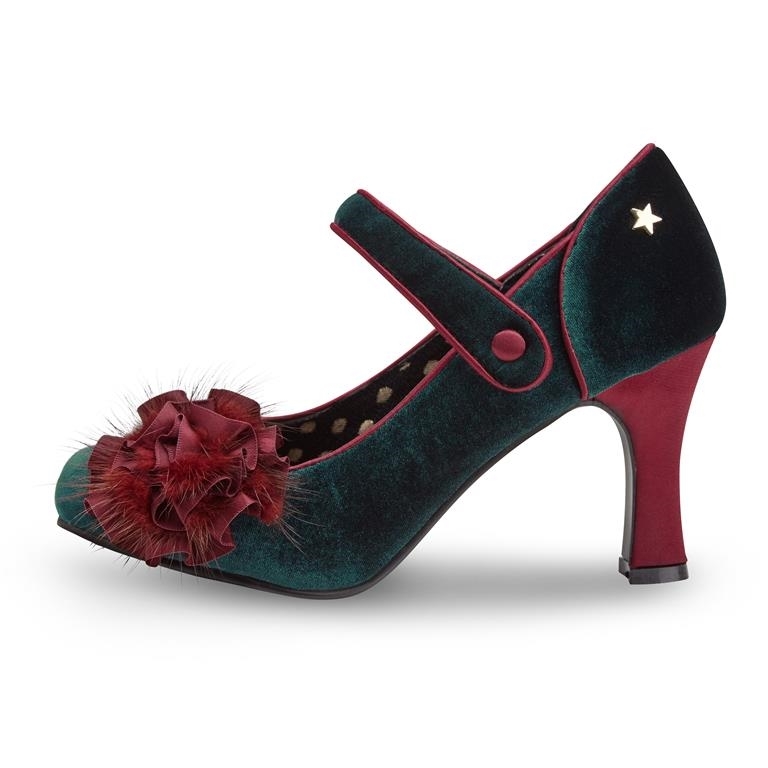 Made from a gorgeous and luxurious looking velvet like fabric in mysterious dark green, finished off with burgundy details such as the heel, the satin trims and the striking flower application with small feathers! Besides the fact that they look great, the padded sole and solid heel both ensure a comfy fit for hours. We could go on and on about these gorgeous shoes but the fact is, they deserve a parade of their own!